First things first: Resort 2015 was a fiesta of defined silhouettes, eye-catching colour choices in either subtle doses or abundant presence, and classic prints redefined for the modern era. Garment cuts varied between skirts and shorts to the knee while pants were designed to the ankles. One thing's for sure, London designers are craving for new measures of creativity that astounds and delights the woman today. Trends present in this European fashion capital coincides with the other major capitals as well, making the whole season a cohesive conglomeration across all places. However, there is still that rare, unexplainable touch that these London designers offer in the industry that sets them apart. It's still a mystery to me, surely. Scroll down, and you might just discover what that "touch" exactly is. Hemlines that drop to at least 2 inches below your knee does not make you look a “lola”. And Resort 2014 collections have been firm on this belief! Pair this garment with skin bearing crop tops and motorcycle jackets for an edgier look; or opt to pair it with rubber shoes for a more casual look. Bottoms that drop to your knees are much chicer now than ever before. Public School teaches us that knees are an asset, so flaunt it girl. Unconventional hemlines will take your outfit to new and greater heights. Let's face the facts, straight/ asymmetrical hemlines are getting pretty boring. Try out bottoms with hemlines like that of Philip Lim for a sure fire outfit galore. Flamingo prints add splash to garments. Yes its true, flamingo prints bring colour to the leftovers of last season's monochromatic colour palette, and that's why we need these. Layering is perfect for any season. Contest anyone who says layering is only for the cold season. We say, Layering is perfect for any season! Pair light colored wear to thin fabrics for a comfortable and wearable look. Making waves since 2010, the socks and sandals look is still a beloved look today. Cardinal rule: the more outrageous the sock pattern is the better. they also say that most women walk around in "provocative and sexual" clothing. These are just some of the things we heard about how Latin Americans dress up. These street style photos will definitely prove to you otherwise. Some say that there is a scarcity of black models in the fashion industry. If you look at model.com's Top 50 Women, you would find out that there are only three black models in that list. But back in July 2008, Vogue Italia released an "All Black" issue to celebrate black female models in the industry. As a girl who is also very much infused with melanin, I feel that there is a need for more appreciation and recognition for these people. Maria Borges has recently topped the list of Forbes Magazine Africa's Top African Models of 2013. She was also recently on the cover of Vogue Portugal. She has worked with Victoria's Secret, Givenchy, Anna Sui, and Tom Ford. Alek Wek is a vetaran model originally from Sudan. She left her hometown when she just started modeling at the age of 18, and now she has been such an influence in the fashion industry on the idea and standards of beauty. She has worked with Hermès, Dior, Kenzo, and Zac Posen, to name a few. Liya Kebede is another veteran model who has been in the industry for 20 years now. She has been featured in numerous publications, campaigns, and shows. Some of which are Vogue Japan, Vogue Paris --where a whole issue was dedicated to her-- Vogue Italia, Vogue España, and Vogue (as covers); she also became the face of Ralph Lauren, Gap, and YSL to name a few. But what put her on the map was when she was personally asked by Tom Ford to model for his Gucci Fall/Winter 2000 show. Now, she is the Goodwill Ambassador for Maternal, Newborn & Child Health for the World Health Organization. This Nigerian supermodel started out as the first ever winner of M-Net's Face of Africa where she was awarded a three-year modeling contract with Elite Model Management. From there on, she became a world-renowned supermodel who has been on the covers of Vogue, i-D, ELLE, and Sports Illustrated Swimsuit where she was featured on the cover four times, and has been walking for Victoria's Secret for seven years now. Aside from being the "Tyra Banks" of Africa's Next Top Model, Oluchi is also currently volunteering her time to various NGO's in Africa. Although she is now a retired supermodel, Iman Abdulmajid is still very much active in the fashion industry through her cosmetics line and occasional magazine covers and spreads. In the 70s and 80s, Iman was one of the most in-demand models; she was always in Harper's Bazaar and Vogue. Yves Saint Laurent also dedicated his "African Queen" line to her. She is not only a model, but also an entrepreneur and activist. These icons should not just be celebrated because of their role in the fashion industry, they should also be appreciated and recognized for their significant works in the world today. Most of them have greatly contributed to their home countries and have become stories of inspiration to girls everywhere. I hope that empowered women such as these people be recognized more by the people who open magazines and see ads everyday. When African fashion comes to anyone’s mind, chances are the first thing that would pop up in your head would be animal prints. Cheetah, Leopard, or zebra prints, you name it, Africa’s been identified with it. But there’s more to African style than these mere safari-esque colors. The world is actually turning their heads towards a lot of designers coming from this wonderful continent, and most of them are now currently based in the fashion capitals of the world (New York, London, Paris). A lot of African designers are also dressing the most prominent of all prominent individuals, which speaks a lot about their absolutely talented skills. They are also in tune with their heritage, which is so evidently seen in their designs. They are proud to be Africans! So scroll down below and meet them! Sindiso Kumalo is one of South Africa’s most talented artists. Originally an architecture student, she eventually went on her way to study MA Design for Textile Futures at Central Saint Martins College of Art and Design. Her designs are marked by very structural pieces and geometric prints coupled with striking colors. She is also inclined to creating very modern pieces. When asked how she views her style of design, it would be “Afro Bauhaus gone Pop”. She already won Elle Magazine’s (South Africa) Rising Star Competition for her SS’13 collection. She is currently based in London. Ghana-born but California raised, Mimi Plange is one of Africa’s most prominent designers, having dressed the likes of Rihanna and Michelle Obama. Like many designers, who from a young age have been identified with the rare ability of producing exceptional art, Mimi Plange cultured her talent with the influence of her mother and uncle (who is an architect). She studied BA in Architecture at the University of California before entering the Fashion Institute of Design and Merchandising (FIDM) in California as well. Her aesthetic is a combination of her knowledge in architecture and her roots - definitely a designer for the sophisticated woman with a good sense of style. Amaka Osakwe's designs are absolute wonders - especially if you’re print savvy and someone who prefers boxy cuts. Osakwe’s talent has been cultivated by her artist mother. In an interview for The Man Repeller, Osakwe said that her mom would ask her children to sketch the clothes they would wear so that during the weekend she could buy fabrics that could later be sewn the following week. She considers the Lagos City in Africa as a haven for her inspiration, even citing that this hometown of hers is where she opts to stay to get the best ideas. Maki Oh is a brand that stands for sustainability, and it is a name which stands for “challenging prevailing notions of beauty”. Born in Mozambique in 1985, Bacar grew up with his mother, a seamstress. After leaving his career with a degree in Information Technologies, he decided to study at the Instituto Maragoni in Spain for there were no fashion schools in Mozambique at that time. Bacar is talented in mixing his African heritage into his designs, which shows how deeply rooted he his with his home. His Autumn/Winter 2013 collection perfectly illustrates this, having been able to ingeniously combine african prints to lace, sheer, and beaded fabrics. When you probably think of what people from Australia wear, you might think of board shorts, tank tops, and swimwear. Well yes, those are very prevalent in the summer, but Australians do experience other seasons too. In fact, Australia goes through all four seasons, and it’s winter season right now down under. Although it rarely snows, temperatures can go down to about 6 degrees Celsius--that’s very cold to say the least. So I think it’s safe to assume that they’re not wearing little to no clothing this season. Filipinos are hopeless romantics. In a world where real-life problems exist everyday, Filipinos flawlessly wander through life hoping that their one true love would either a.) glance at them straight through the eyes, and correspond the greeting with a smile, b.) catch them from tripping down an uneven walkway (books fall over, Behold! An opportunity taken for love), or c.) save them from either a catastrophic mishap or a miserably enjoyed party. Many romantic movies have proven these circumstances as a possible case, and no doubt that anyone who extremely fancies this idea of romance and love has succumbed to believing that these circumstances and those of the like will happen to them at some point in their lives. This time I’m looking into the beautifully fantastical lives of some leading women in some of the cutest, most heart-fluttering movies made in the Philippines. A light, and might I say good tween movie that deals with school stereotypes - it forms quite a resemblance to the Breakfast Club and Disney’s High School Musical. Basically, the story revolves around the solving of a controversial school case wherein someone (and I wont tell who, so watch the movie) contaminated the water of their school’s athletes. The five main characters, which are Indy (the brainy girl), MJ2 (the school jock, MVP), Gael (the rebel), Nathan (the boy next door), and Pre (the sossy, cool girl), were being investigated throughout the movie since they more or less had ties to the whole incident. If there is one lesson to be learned in this movie is that people aren’t usually what they seem, and that one’s clique cannot be the best basis for judging one person. STICK TO THE STATUS QUO? NO!!!!!!!! Brainy Indy wears a lot of yellow, and her fashion sense is a downplay of Cher Horowitz’ from Clueless. She’s into A-line skirts, sweaters, and yellow polos of sorts. On the other hand, Sossy Pre (actually pronounced as prey), is at best sossy and at worst fashionable. Her wardrobe is purple-splashed and somehow Destiny’s Child inspired. “She loved me at my worst, you had me at my best….” Sounds so moving doesn’t it? 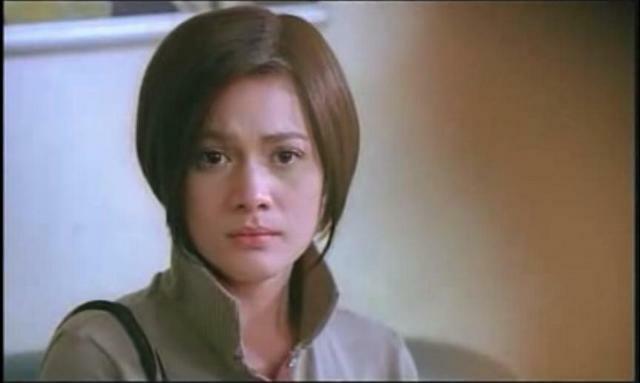 One More Chance has got to be the best John Llyod Cruz and Bea Alonzo movie out there! I distinctly remember watching this back as a 7th grader, a time when the idea of having a boyfriend is something treasured and deeply wanted; alas this seemed to have been mythical to me. Nevertheless, this is a story of two super close friends, one of which thought they’d end up together. But the other one wasn’t convinced. They eventually decided to spend time away from each other to find and understand themselves. Basha seems to dress up as the typical casual Filipino, with a wadrobe full of comfortable clothing. Jeans, and sweaters cover mostly of what Basha wears. Wide headbands and large hoop earrings also make quite an appearance! My Amnesia Girl stars Toni Gonzaga as Irene, the former girlfriend of Apollo (played by John Llyod Cruz) who was left by him at the altar. Irene sees Apollo a few years after this unfortunate incident; however having remembered the most awful things gets “Amnesia”. Appollo pursues Irene the second time around by reminding her of the things they wonderfully, and romantically shared in the past. This was the first Filipino movie I saw in the big screen, and it was actually a good decision because I was able to absorb the story at a detailed level. My Amnesia Girl, for me, probably has the best opening scene, and it really makes you wonder if you’ve ever brushed up glances with the person you’re meant to be with in the past - when both of you are still mere strangers to one another. Also watch out for ingeniously made pick-up lines. Caution: USE THOSE WISELY!!! Again, casual wear serves as a huge part of Irene’s life. However, despite Irene’s liking for the typical jeans and tank, she sometimes upgrades her play with cute dresses. Having first watched this a few days ago, I had sudden surges of epiphanies. One of which included what I think is the formula for a good [FILIPINO] romantic comedy. That is: two people of immensely different backgrounds + one unexpected circumstance that would involve the two of them (and then of course one of them would immensely hate the other, but secretly has a soft spot for that person anyways) + Goes on a date + Family meets boy/girl + Family Hates boy/girl + Love conquers all so they still end up together = Happy Happy Filipino Love story. Quite frankly, this sums up Suddenly its Magic. Despite its very cliché story, I’ve yielded to and appreciated the immensely cheesy love antics brought by its characters. In simpler terms, Suddenly its Magic is a story about Marcus (played by Thai actor Mario Maurer) who felt unsatisfied with his acting career. He then decided to take time off and fly to the Philippines, feeling convinced that it would take his mind off things. He met Joey, a cupcake baker along the way. Fit this movie in the equation if you will and you’ll understand why it is a movie appreciated by Filipinos. Dresses and skirts are Joey’s staple wadrobe choices. Opt to get those in pink, floral, or pastel-colored. Don’t forget to pair it with strappy sandals.